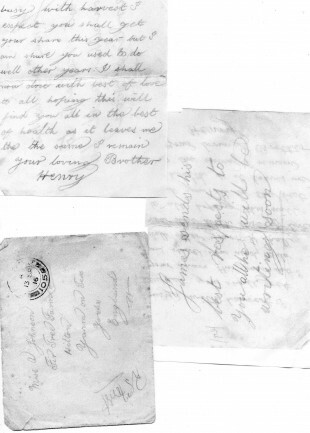 THE family of a village’s only soldier killed in action during the First World War have come forward with the last letter he sent home before his death. 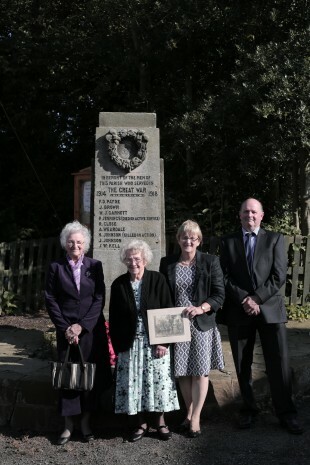 Relatives of Private Henry Johnson attended a centenary remembrance service and parade for him in the village of Hilton, near Yarm, after publicity surrounding the planned events last Saturday in The Northern Echo. They included 86-year-old Adelaide Morrison – Pte Johnson’s niece – his nephew’s wife Joyce Harrison, and Adelaide’s son Martin and his wife Gillian. 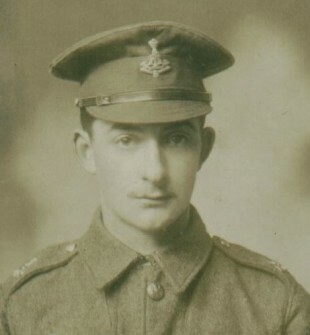 Pte 5458 Johnson, the son of James and Jane Adelaide Johnson, of Ox Hill Farm, Hilton, served with the 4th Battalion of the Yorkshire Regiment (Green Howards). He was killed in action near Martinpuich on the Somme on September 17 1916, aged 24. A letter has now emerged, which was written by the soldier from the trenches and postmarked September 13 1916, a few days before he died. In it he talks about his hopes for the harvest at the family farm and signs off by wishing “this will find you all in the best of health”. 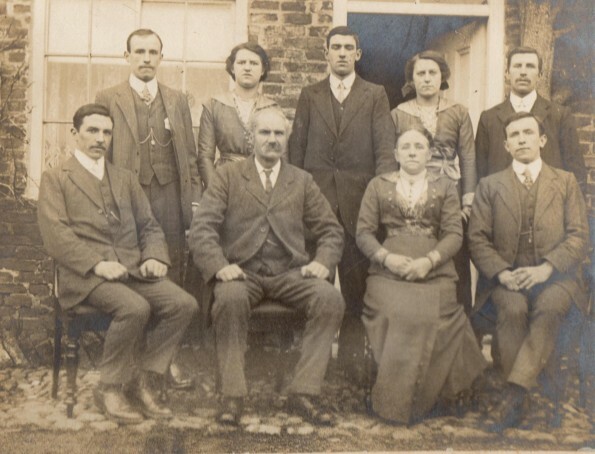 Pte Johnson’s elder brother – James – was with his brother on the battlefield in France, but survived to come home. He buried his brother in Martinpuich following his death, but it is thought the grave was later destroyed in another battle. The service and parade was organised by Joe Kenny, who has travelled to the cemetery in Martinpuich, where British war dead are buried from the Battle of the Somme. There he planted a Yorkshire rosebush on behalf of Pte Johnson’s parents. He also hopes to right the family headstone in the churchyard at St Peter’s Church, Hilton, which has fallen over. The 4th Battalion, along with the 5th Battalion of the Green Howards and the 5th Battalion of the Durham Light Infantry were tasked with attacking and holding German trenches to the South-East of Martinpuich. The positions were taken, although Pte Johnson was killed during the attack. His body was never recovered and he is listed on the Thiepval memorial in Northern France along with 77,000 men who were killed on the Somme battlefields and who have no known official grave. KILLED: Private Henry Johnson, who was the only member of the First World War effort from the hamlet of Hilton not to return home. Martin Morrison, from Great Smeaton, North Yorkshire, who has carried on the tradition of farming in the family, said: “We would like to thank Joe once again for arranging the events in memory of Henry and all his endeavours 100 years ago. “His and others’ actions all those years ago helped form this nation as it is today. “We share the fruits of his labours in the freedoms we now take for granted. “Henry was one of thousands of men who embarked on this battle never come to back. The service in Hilton included a reading of the poem ‘The Soldier’ by Rupert Brooke and a re-dedication of the village’s war memorial. A further remembrance service is now being planned in November for both brothers.